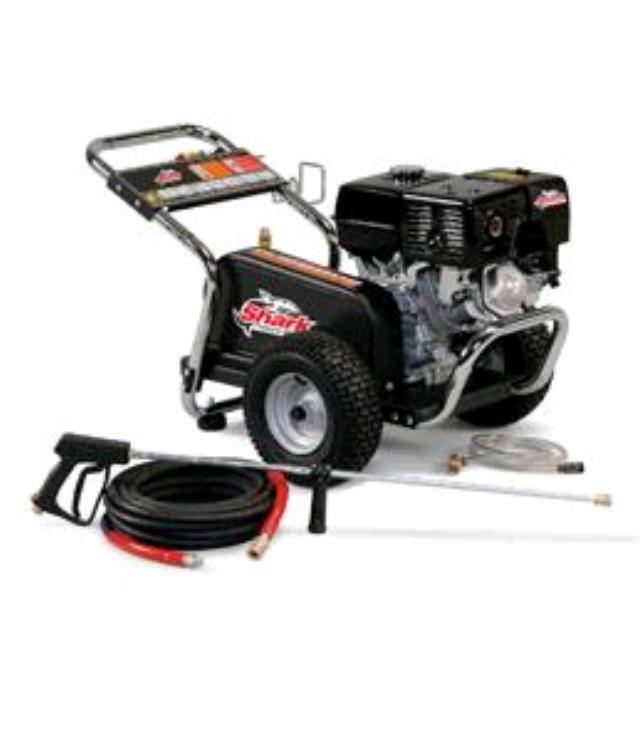 3500 PSI PRESSURE WASHER: The more powerful pressure washers with 3500psi can accomplish tasks that most cleaning equipment can't even touch, like stripping paint, degreasing heavy-duty equipment, and removing the most stubborn oil, dirt, grime, and soil residues from concrete, walkways, driveways, sidewalks, brick, building exteriors, and much more. THE FOUR COLOR-CODED QUICK CONNECT NOZZLES/TIPS PROVIDE A WIDE ARRAY OF SPRAY WIDTHS FROM 0 TO 40 DEGREE AND FOR A MORE GENTLE RINSE, SELECT THE WHITE 40 DEGREE OR GREEN 25 DEGREE NOZZLE. TO SCOUR THE SURFACE SELECT THE YELLOW 15 DEGREE OR RED ZERO DEGREE NOZZLE. * Please call us with any questions about our washer pressure 2700psi 3500psi rentals in Tulsa OK and neighboring communities in Northeastern Oklahoma.